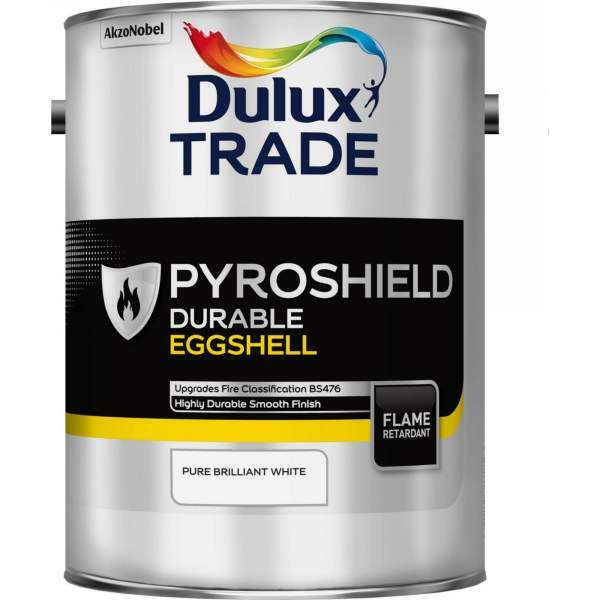 Flame retardant, highly durable smooth finish for interior use. 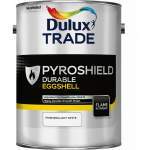 Dulux Trade Pyroshield Durable Eggshell is a low VOC content mid sheen finish. A wipeable product which should not be thinned and is applied by brush or roller.